KUALA LUMPUR: After Penang and Selangor, more states can expect to come under the scrutiny of graft-busters. “It has been ‘hot’ these days. What other states after this? Let’s wait and see,” hinted Malaysian Anti-Corruption Commission (MACC) chief commissioner Datuk Dzulkifli Ahmad during his speech at the launch of a play, Bahara Emas, which will be held from October to December nationwide in conjunction with the commission’s 50th anniversary. He said more arrests and charges against the corrupt would take place from now until the end of the year, adding that the days were numbered for those still blinded by material possessions and money. On allegations that the MACC’s actions on certain parties were “planned”, Dzulkifli stressed that they were not biased in their investigations. “We don’t choose our targets. Whoever it is, whether they are politicians, civil servants or corporate figures, we will take action. “Once a report is received and we have determined that it has a strong basis, we will carry out raids and seize documents. “Once there is enough evidence, only then will we make arrests,” he said, adding that proper planning must be done before his officers moved in “at the right time”. Earlier in his speech, Dzulkifli revealed his inspiration to make weekly arrests came from a 2015 Indian action movie called Gabbar Is Back, depicting the protagonist’s mission to rid corrupt officials. “We want to empower the people to stand up and say no to corruption. “Why? Because the MACC is here with you. “We are the people’s voice and machinery,” he said. Citing a case in Penang which caused pollution and another in Pahang over illegal bauxite mining, Dzulkifli said these cases happened due to issues of corruption and abuse of power. He pointed out that those greatly affected by corruption were the people and not the ones in power, which was why “the MACC is here to carry out a probe”. SHAH ALAM: The Malaysian Anti-Corruption Commission (MACC) is currently conducting a raid at Universiti Selangor (Unisel) in Section 7 here. Six uniformed officers from the national anti-graft body arrived at the campus here at 9.50am on Tuesday in two separate vehicles. Upon entering the campus' administrative building, the officers were greeted by staff members who brought them up to the offices. The MACC is simultaneously raiding four other offices of Unisel, Mentri Besar Incorporated (MBI) and Jana Niaga Sdn Bhd offices in connection with the case. Several uniformed officers from the MACC going in to the Unisel main campus' administration office at 11.10am. 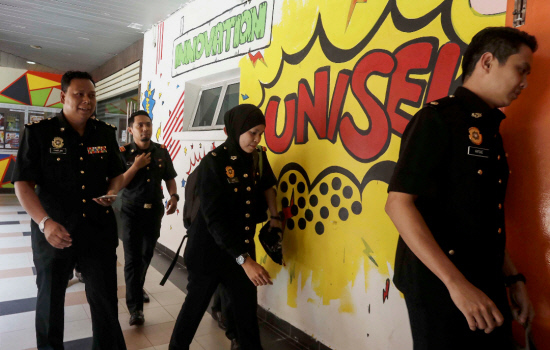 Uniformed MACC officers were also at the Unisel main campus in Bestari Jaya. They are currently conducting a raid at the university's administration office which is located inside the library building. Three officers, meanwhile, arrived at the Mentri Besar Incorporated (MBI) office at Bangunan Darul Ehsan, in Shah Alam to conduct a raid. In KUALA LUMPUR, anti-graft officers are raiding a Jana Niaga office on Jalan 4/76C. Four officers arrived at 10.25am in a vehicle with heavily tinted windows to conduct the raid. It is believed the MACC is acting on a report lodged with it against Selangor Mentri Besar Datuk Seri Azmin Ali and MBI over a dispute between Unisel and its contractor Jana Niaga. It had been reported that Jana Niaga allegedly received monetary compensation and a new contract from Unisel, despite failing to complete a previous contract. SHAH ALAM: The Malaysian Anti-Corruption Commission (MACC) carried out simultaneous raids on five locations in Selangor and Kuala Lumpur in its probe of RM16mil allegedly paid by a Selangor government-owned company to a private firm for maintenance work. 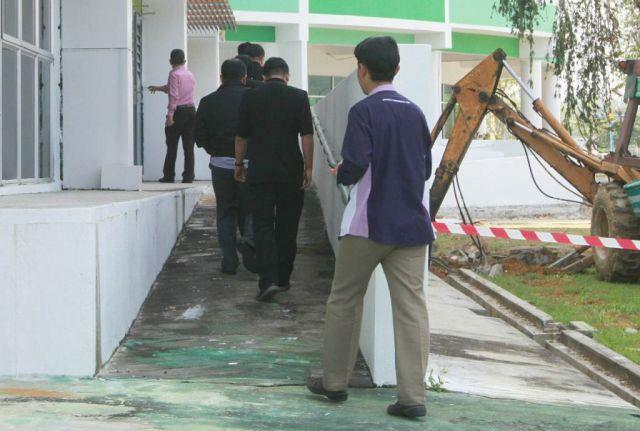 The places raided included the Universiti Selangor (Unisel) main campus and office, two offices belonging to the contractor – Jana Niaga Sdn Bhd – and the Menteri Besar Selangor Incorporated (MBI) office. In all, officers took away 10 boxes and one suitcase filled with documents relating to the payment made by MBI to Jana Niaga for maintenance work of student accommodations at the Unisel main campus in Bestari Jaya. MACC officers leaving the Jana Niaga office in Desa Pandan after the raid. Jana Niaga was responsible for maintenance work on student accommodations at the Unisel main campus in Bestari Jaya. Sources said MBI had allegedly made the payment to Jana Niaga via two transactions of RM10mil and RM6mil in 2015 and 2016 respectively. Initial reports received by MACC showed that MBI had paid Jana Niaga even though its contract had been terminated by Unisel. 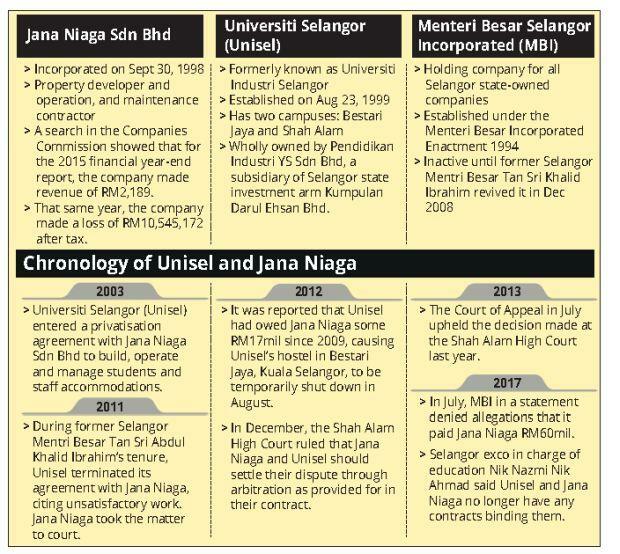 The sources added that the MACC probe focused on the reasons why the payments were made even though Jana Niaga had failed to fulfil the contract agreement for the work done in Unisel in 2012. 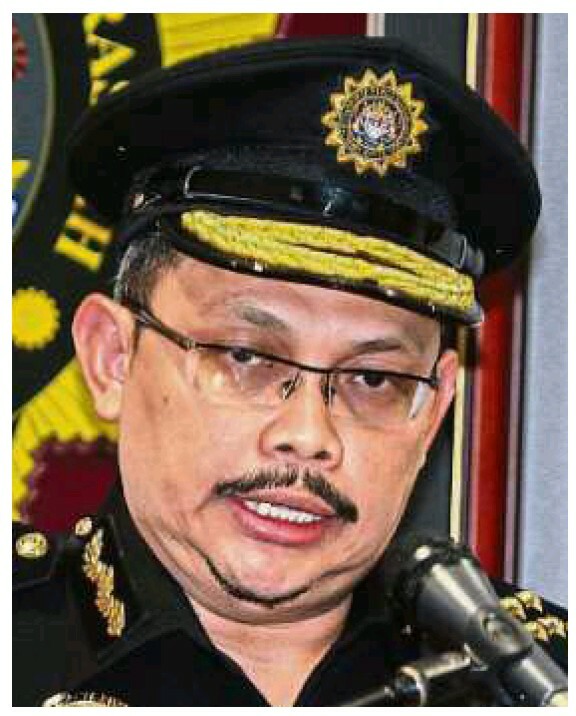 MACC director of investigations Datuk Simi Abd Ghani said the investigating teams seized documents related to the case from the different locations. “We’re still in the early stage of our investigations and we will gather strong and sufficient evidence before we proceed,” he added. MACC officers raided the Unisel main campus in Bestari Jaya and office here, Jana Niaga’s offices in Desa Pandan and Bestari Jaya, and MBI’s office in Bangunan Darul Ehsan here. At the MBI office, five MACC officers started their inspection at 10.45am and left at 5.50pm with a medium-sized suitcase and a box filled with documents. Four boxes of documents were taken from the Unisel Treasurer’s office in Section 7 here at 4.30pm after the officers spent nearly seven hours there. Other MACC officers also went to the Unisel main campus in Bestari Jaya, Kuala Selangor, and left with three boxes of documents at 4.50pm. A Unisel spokesman said it would give its fullest cooperation to the MACC investigation. 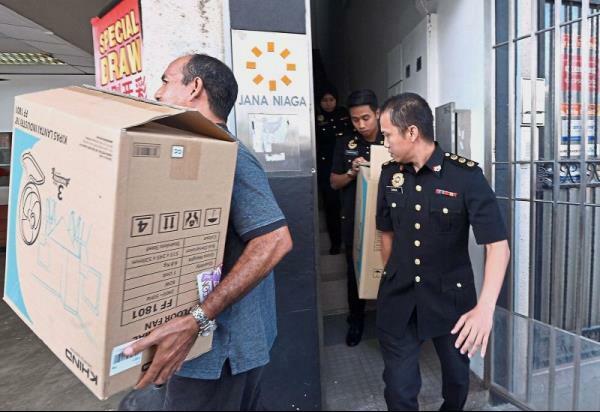 In Kuala Lumpur, four uniformed officers went to Jana Niaga’s office in Jalan 4/76C in Desa Pandan at 10.25am and left carrying two large boxes of documents at 4.26pm.